My paper sets out to investigate the aesthetics of identity representations in works of media art. 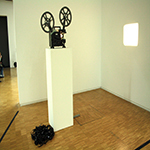 Starting point is the observation that a considerable number of artists’ videos and experimental films depict the artists’ own lives by retrospectively arranging contingent events into a plot that simulates the coherent development of a self-contained individual. In other words: there is a genre of media art that one could call, in analogy to literature, ‘audiovisual autobiography.’ Based on the notion that identity is neither given nor a stable but an ephemeral construction site in indefinite flux, identity always relies on perception. That is, there is no identity outside of mediation. As such, the construction of identities – whether individual or collective – takes place by means of conventionalized symbolic actions that structure our understanding of the world. These actions condition how we perceive ourselves and others, and the way we are perceived by others. Arts play a major role in the formation and stabilization of identities by offering and perpetuating generic forms for communication. Media artists frequently relate to literary and filmic genres, but they mimic and subvert their conventions. Instead of aiming for a smooth, transparent representation that suggests a teleological development of self-contained individuals, media artists reflect on the means of representation and emphasize the ruptures and contradictions of life. In doing so, they put conventional representations of identity up for discussion and unmask ideological impacts of genres. Through my exemplary analysis of artists’ videos and experimental films that explicitly draw on traditional genres of self-construction, such as autobiography, I intend to highlight how artistic devices (Shklovsky 1925) expose the constructedness of identity.